I had the most interesting experience today in the most unexpected place. My younger son was invited to a birthday party happening today (and he gave me the invitation yesterday) so I decided to save on gas and just get the gift on the way to the party. We were running a bit behind (I blame facebook) and dropped him off first so he wouldn’t be late then headed to the nearest store that sells toys which happened to be Fred Meyer. After I found the gift I walked around a bit to kill some time and ended up in the garden section. As I was looking at all the interesting plants and flowers, thinking about life and my kids and what I was going to write about next, I suddenly found myself in the indoor plant section. Out of the corner of my eye I spotted a small jade plant, the only one left on the shelf. I instantly felt nostalgic because when I was growing up in my grandparents’ house there was a jade plant sitting on the kitchen table in front of the window. I loved that table because my grandfather made it himself and it was strong and sturdy with lots of scratches and dents from years of use. It had character just like my grandfather. 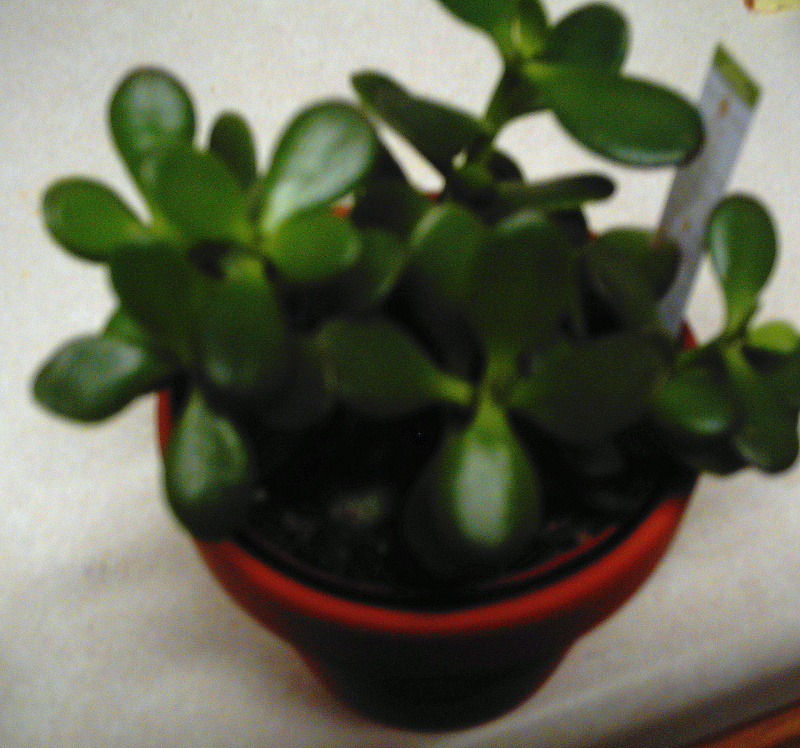 I loved the jade plant, well, just because. I remember my grandmother taking care of it and watering it. I guess I would consider it her plant. The photo to the right is of me standing next to the table. That’s not the jade plant there, but I remember it loving it, too. If you haven’t read my other posts that go into the relationship I had with my grandmother you may be forming a picture in your mind of a sweet old lady caring for her plant and smiling at me as she lovingly poured water into the pot. Yeah, not so much. Sure, she loved the plant, but there was no tender bond between us. Because of that and all the things she did to me over the years I’ve struggled with feelings of hatred toward her. At some point I stopped actually hating her and those feelings were replaced with indifference. I forgave her on some level and found peace with it. There’s no way I could’ve let go of the hatred if I hadn’t. But today, after years and years of nothing particularly new in my view of her or how my childhood affected me, something very strange happened. As I stood there looking at the jade plant I suddenly felt we had a connection, a bond between us. My grandmother, not the plant. Don’t get me wrong, she passed away years ago and my personal belief system and understanding of the Bible does not include people going straight to heaven or wherever and looking down or up at us, but that they are waiting, knowing nothing for now as if in a deep sleep. So I’m not saying it was some spiritual connection from beyond the grave. I just mean that I can finally see her as someone I have something in common with. Something that, if she were still alive, we could share and talk about. I am able for possibly the first time in my life to see her as a person completely separate from all the crap that happened between us. It’s as if a veil was lifted and I can now clearly imagine her growing up, having hopes and dreams. She had friends and boyfriends. Things she liked and disliked. Things that made her laugh so hard she cried. She was a person, not a monster. She just wanted what the rest of us want, what I want…a happy life with a loving family and to feel like she had a purpose in the world. It wasn’t her fault that all that was taken away from her when she too became the victim of abuse. Sure, it would’ve been nice if she had dealt with it and found healing instead of trying to hide it and eventually take it out on me. But that didn’t happen. And that’s ok. I am who I am because of everything I’ve been through. As I stood there I felt a strong wave of what I can only describe as pure love pass through me. I’m not wanting to sound like a crazy person here. If you’ve ever experienced it you know what I’m talking about. I felt forgiveness on a much deeper level than ever before and could actually imagine myself genuinely smiling at her and hugging her, not because I was being forced to like all those years growing up, but because I want to. I want to tell her I’m sorry, not like all the times I had to because if I didn’t I’d suffer the consequences, but for everything she went through that made her the way she was. If you read my About page you know I started my life a happy and healthy little girl even though I don’t actually remember those times. The proof is in the pictures. 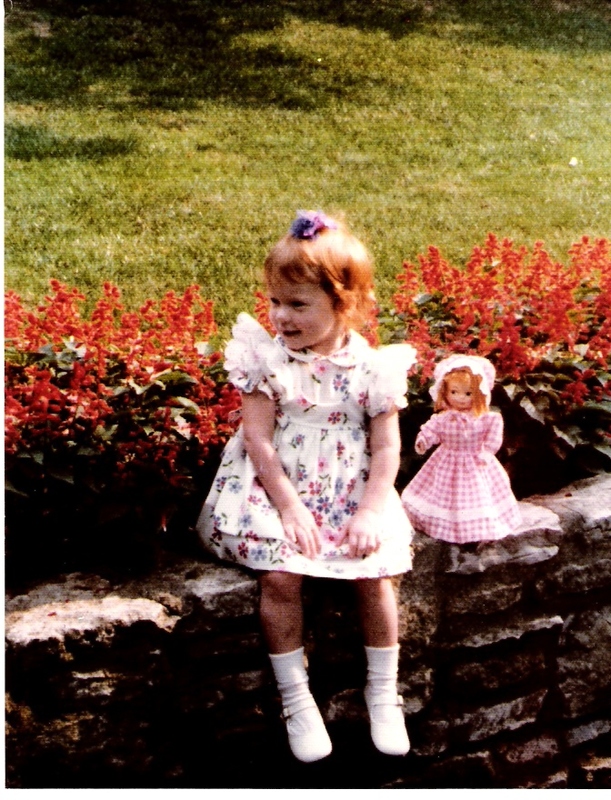 The one on the right was taken in front of the house I grew up in after my parents divorced when I was around 4. Some of the rocks on the top of the wall were loose and when I got a little older I loved lifting them to find huge colonies of rolly pollies, those bugs that roll up into balls when you bother them. The photo on the left was from a trip we took to Florida. 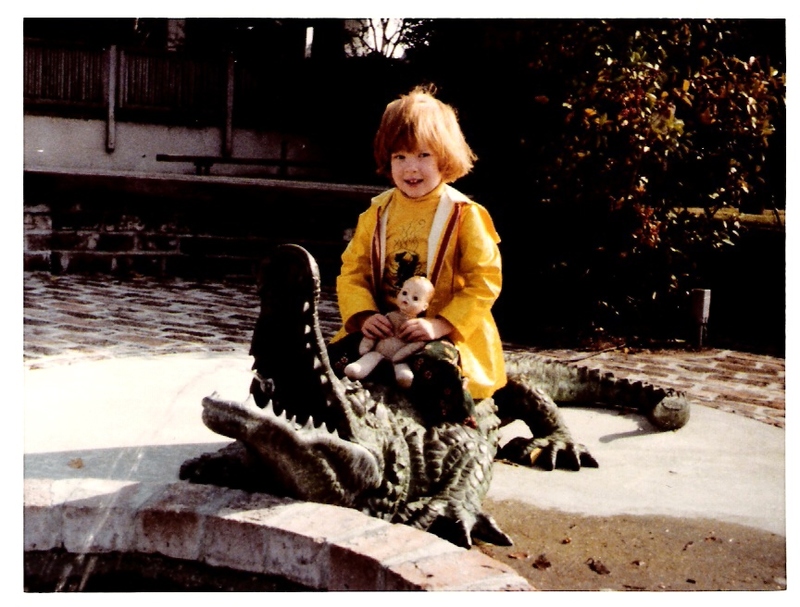 No, that’s not a real alligator. ; ) You didn’t really come here to see the cute stuff, though, did you? I promised embarrassing photos so let’s move on. From my About page, you may be wondering, “How bad could it have really been?” I’ll show you. 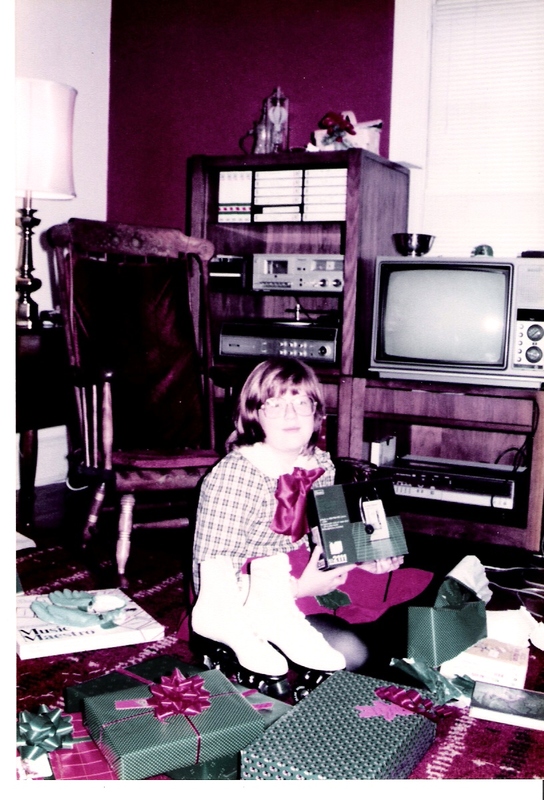 Christmas morning was always a time for taking pictures. 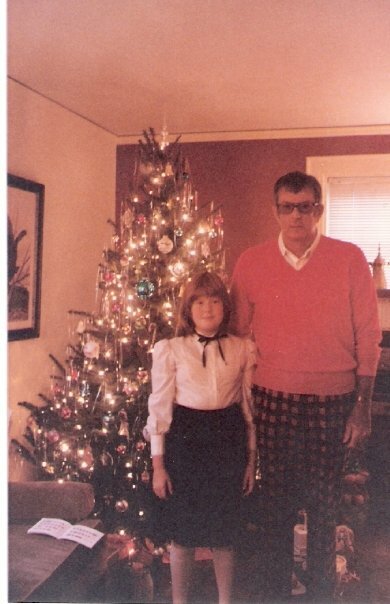 On the left, I’m next to my dad who’s wearing his Christmas pants. After he passed away, his wife made “Eddie” bears out of the pants and gave them to all of his kids. I love that bear. 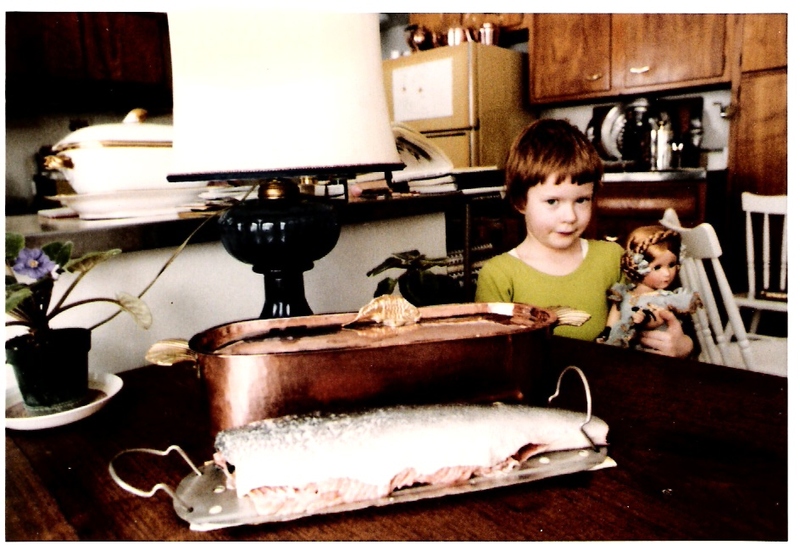 On the right, another Christmas morning, same place. As you can see I’ve not only gained some extra pounds, but some super cool glasses, too. Oh yeah. But wait, there’s more! What girl wouldn’t love a fur coat and awesome hat? Don’t worry, it’s fake. Not quite sure what I’ve got in my hand, but it seems to be some sort of raccoon(?) purse(?). 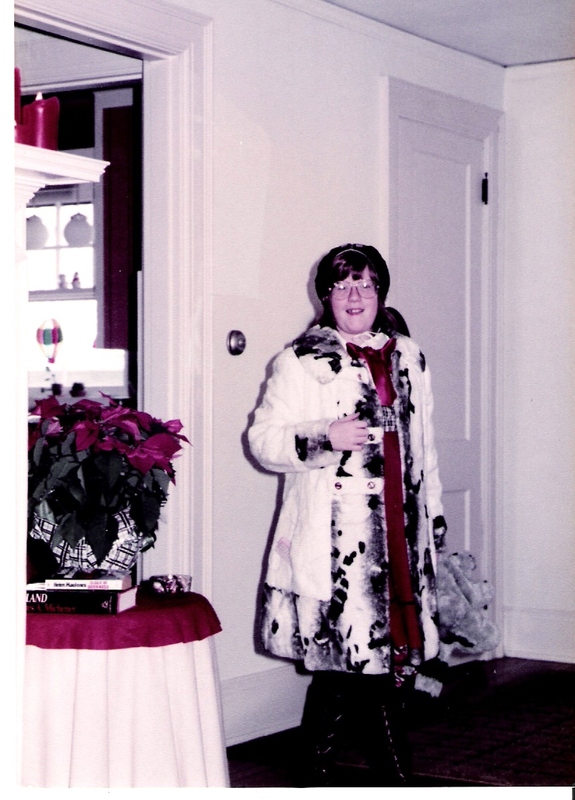 Wish I could say I didn’t choose my hair style or my clothes, but I’m fairly certain I chose that coat. 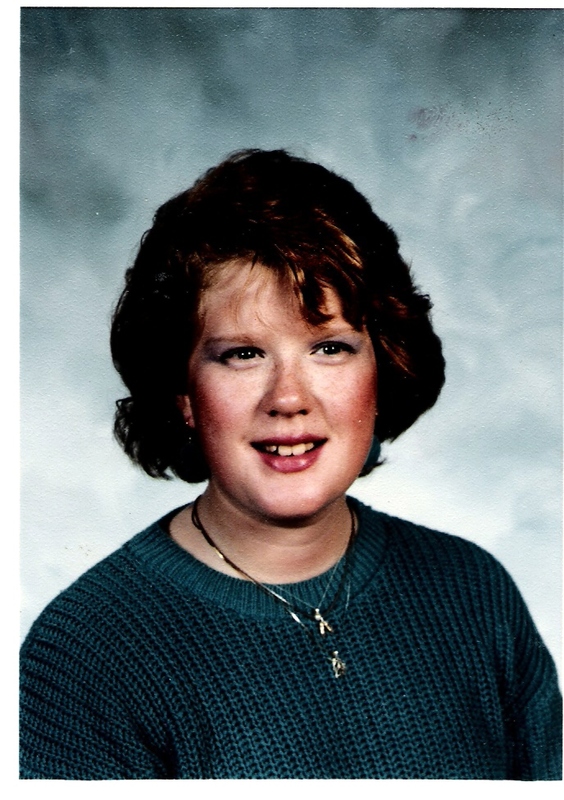 Once I was given some say in my hair style and the permission to use makeup, this is what I did to myself. Not much of an improvement. LOL! I suppose we all have embarrassing pictures from years gone by. The point is that no matter what or where we came from, we can transform our lives into something beautiful. Pain and humiliation can make us stronger and give us the ability to be compassionate toward others. If we take the time to look around we can always find someone who needs our kindness. Regardless of how we look on the outside, we are all basically the same. We all need love, respect and understanding. Before we jump to conclusions about another person based on their outward appearance or behavior, we should ask ourselves if we understand why they are who they are. If we see how a person got to be the way they are then we can know how best to help them find some happiness. Sure, it takes time to get to know a person before jumping to conclusions about them, but it’s well worth the effort. If there hadn’t been people out there who took the time to get to know the real me there’s no telling where or even if I’d be right now.